Contact your sales representative or Dial Medical customer service (800-346-2080) for a price quote and your free sample custom On/Off kits today! Use this Kit Worksheet printable (PDF) to let us know what you would like in your custom On/Off kits . 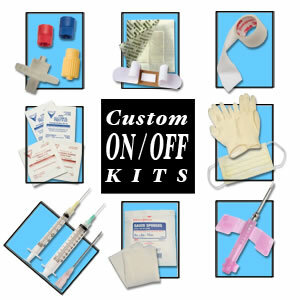 Custom On / Off kits are assembled to the specific needs of each customer. Each kit will contain the specific products that your dialysis unit uses to perform daily procedures. Separate kits are available for HEMO and CATHETER procedures. 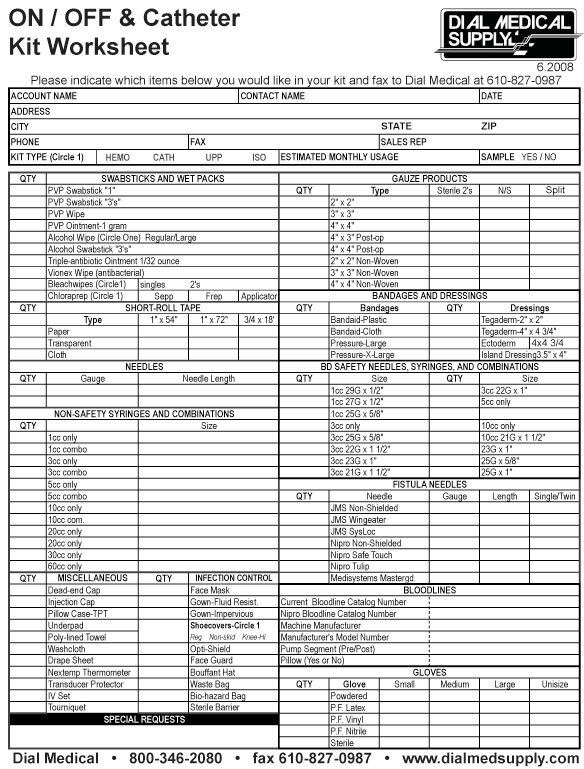 To place an order for custom on / off kits, please fill out the kit worksheet (Print PDF) and fax to your Dial Medical sales representative or to customer service at 610-827-0987.